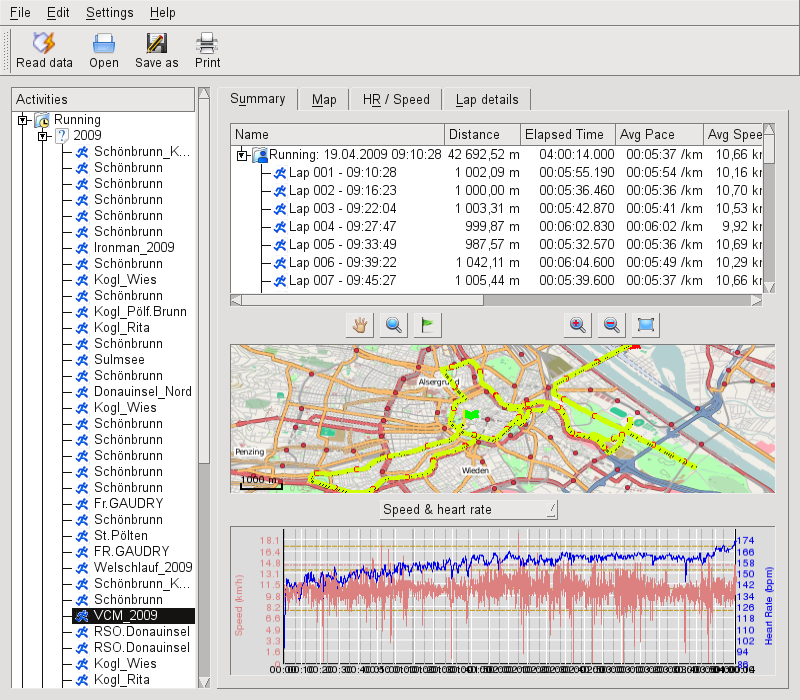 SportWatcher is a KDE program, who reads data out of a Garmin GPS-device. SportWatcher shows the data graphically. It can export the data into several formats. This allows other software to import the data. can export tracks as GPX and OSM files. This allows to add tracks to a map like openstreetmap. SportWatcher was developed under Linux and needs KDE4. This gives the program a modern dialog, makes it easy to deal with the program. You can see the Repository also with your browser and download the files this way. There is also an archive of the mailing list available. You can reach the archive also from the sidebar on the left of theis page.